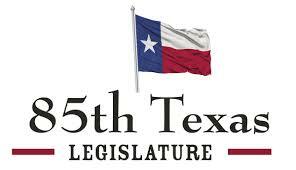 $25.00 Lunch & Learn Industry advocate Mr. Wade Long will be presenting an overview of the 85th Texas Legislative session. When: Thursday September 28th from 4:00pm to 6:00pm Where: Katy Trail Ice House Outpost 4700 W. Park Blvd, Plano TX www.katyoutpost.com Drink Tickets and Appetizers will be provided Please RSVP (dallas.surety@gmail.com) for a food headcount. $380 Group Golf Outing at Brookhaven Country Club Foursome: Cost is $380 – Includes lunch. Please email dallas.surety@gmail.com and list individuals the transaction applies to. 2017 DSA Par-Tee Tournament & Putt-Putt Classic WHERE: Brookhaven Country Club WHEN: Wednesday, August 30th, 2017 More details coming soon!